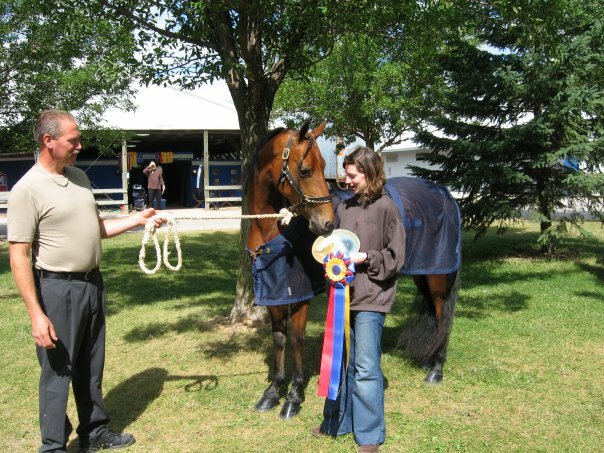 Spyder was Reserve Champion in his Park Pleasure Stake class at Summerfest 2013 with Alison (his then Amateur owner) as rider. 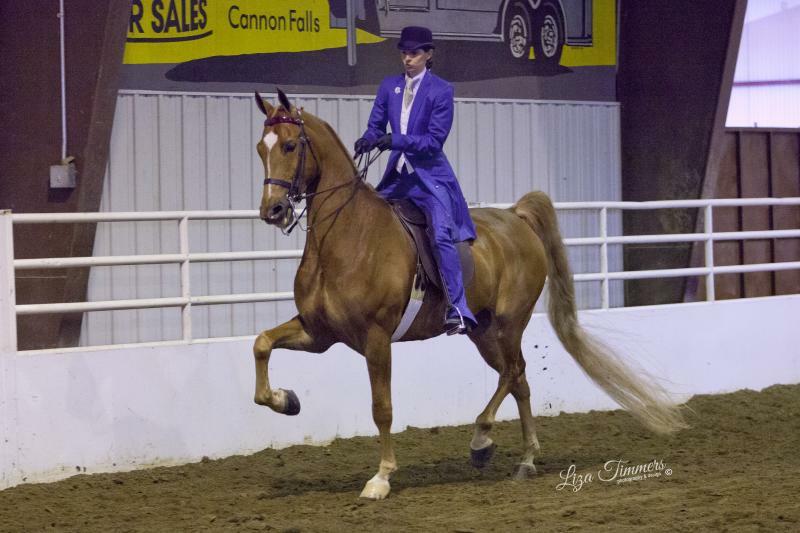 This was the first show back in the show ring after a 10+ hiatus from the show ring for Alison. Alison enjoyed riding and driving Spyder while she owned him. While it was a very sad day when Spyder was sold we are thrilled for Spyder's new owners! He is a very fun personable guy. May you enjoy him for many years! Millie did very well as a pleasure driving Jr. horse and showed to some very nice ribbons, but her true calling in life was with children as she really LOVED them doting on her and so wanted to be loved by her very own child. When the opportunity presented itself for Millie to become part of a lesson program at Centre Pointe Stables in MN, it was a great fit for Millie and was impossible to say "no." We learned that just a few weeks in her new home she was bought by a family who had just lost their life-long driving horse, met her and just "had to have her."